Fully customized contemporary home sitting on prime corner lot boasting unobstructed 'front-seat' Hecla Lake views! One of the best lots in the North End community...steps from greenbelt, bordering Open Space & right across from park! Open layout w/ thoughtfully designed window placement, maximizing the stunning surrounding views & drenching the entire space w/ natural light. The one-of-a-kind covered porch w/ high-wind sensor electric awning & cozy fire-pit, becomes an extension of the every day living space. All quartz countertops, $15K window treatments, NEST thermostat, wood flooring and wine nook. Sleek eat-in kitchen w/ 42 cabinets, all S.S. appliances, lux gas stove/oven, pantry closet & ambiance lighting. Breathtaking views, 17'6" vaulted and walk-in closet custom shelving in Master Retreat. Basement finished by builder offers a bright family room, private guest bedroom and bath. Tiled entryway/mudroom to 2-car garage. 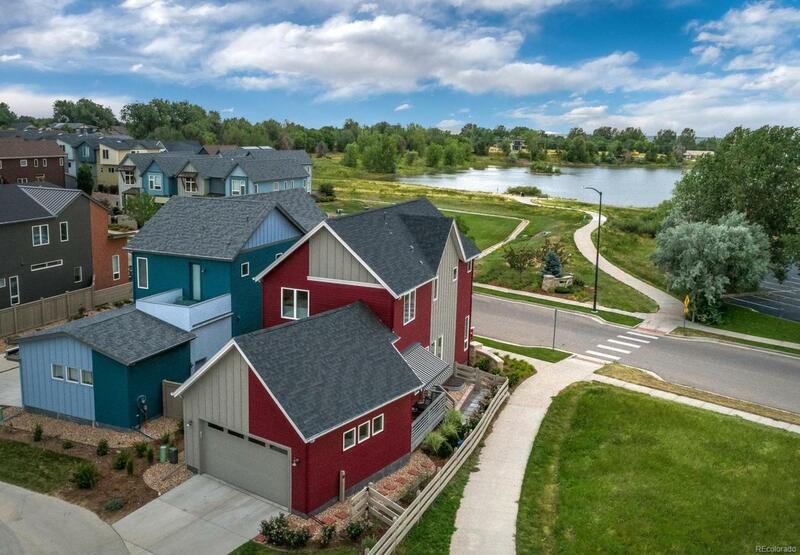 1/2 mile to Main St, Waneka Lake, RTD and so much more! !